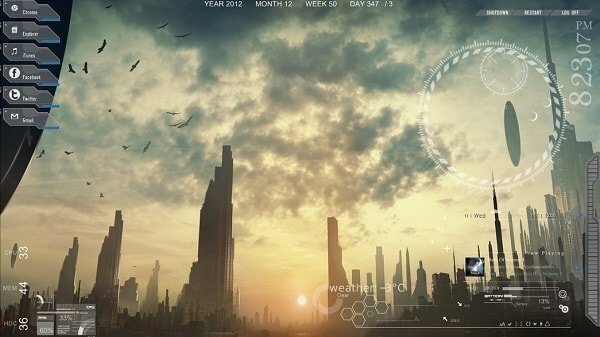 Looking for some of the best Rainmeter skins for Windows 10 PC? 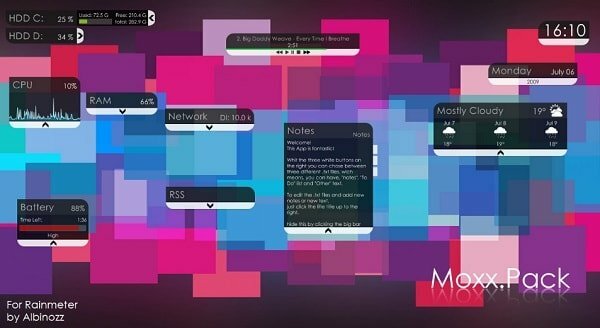 In this post, you will read about the mega list of Windows 10 Rainmeter skins. If you spend most of the time staring at the screen of Windows 10 desktop, then it is a good idea to customize it to provide a fresh look. In return, you will not get bored while working on it and spend more time working. 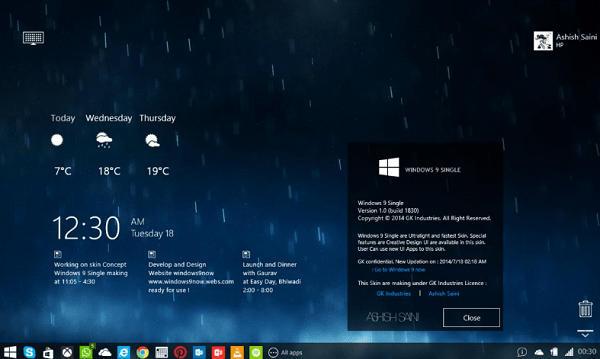 But the question is how to personalize Windows 10 desktop? 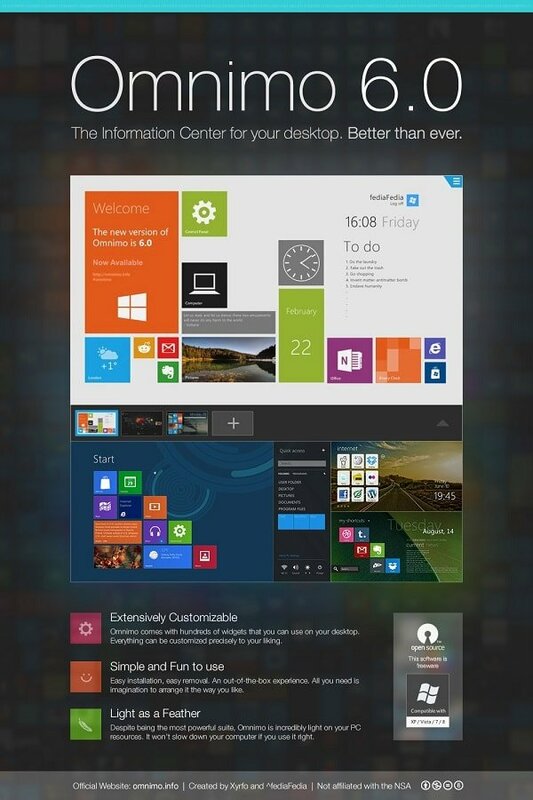 No doubt there are lots of Windows 10 Themes available on the Windows Store that you can employ to give a productive environment. 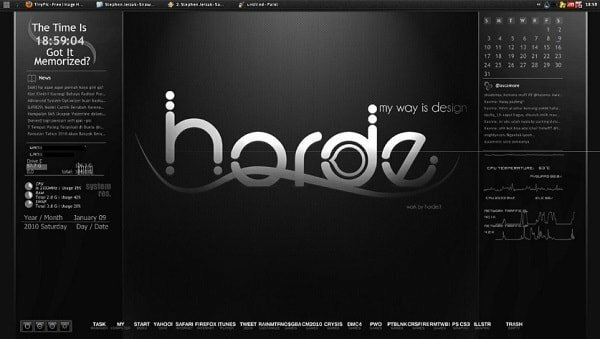 Rainmeter is a desktop customization software for Windows operating system. 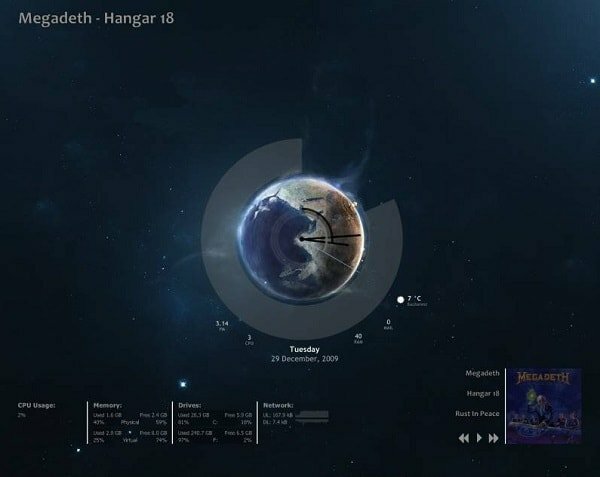 It allows users to display customizable skins on the Windows desktop, from fully functional audio visualizer to hardware usage meters. 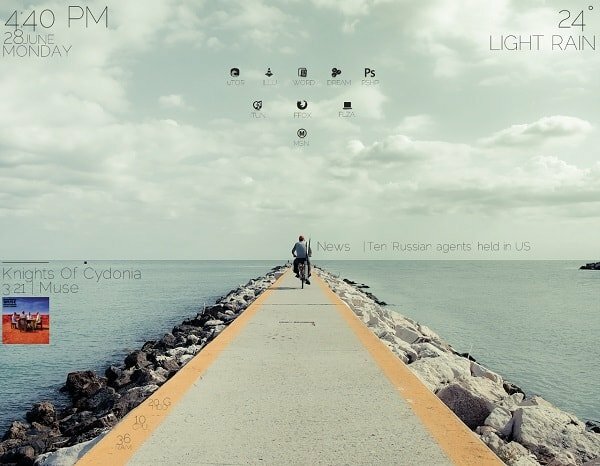 It comes with few simple and best Rainmeter skins to get started. 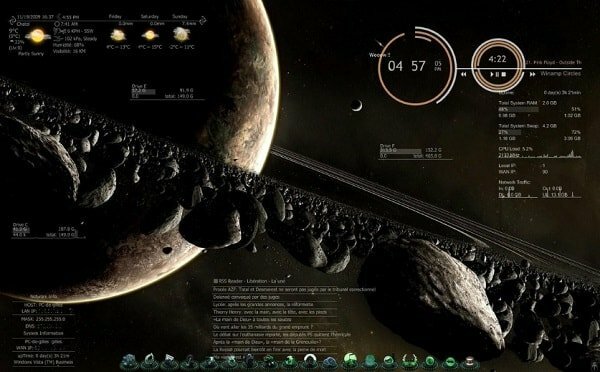 I know… I know, lots of users like me are not satisfied with starter Rainmeter skins and want some beautiful and innovative skins for their PC. 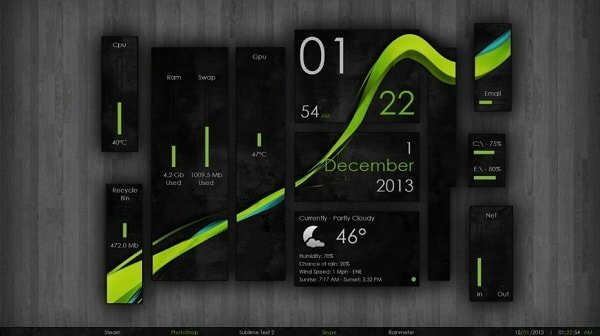 There are lots of best website to download Rainmeter skins available on the internet. But they’re also a big fan of lazy and don’t want to spend there time on these sites to find the Windows 10 Rainmeter skins. 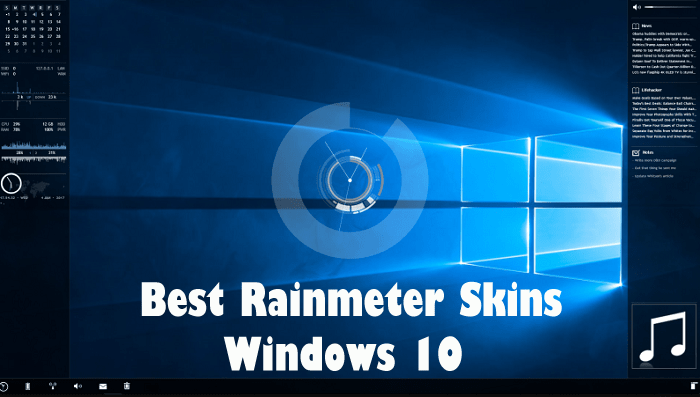 To help those users I decided to write this post in which you will read about Best Rainmeter Skins for Windows 10 PC. 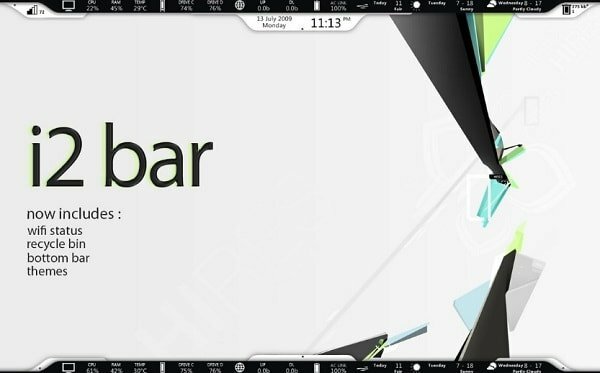 Before that, it is important to check out my previous post on How to Install Rainmeter Skins on Windows 10. Enigma is a suite available for Windows system monitoring apps. It has a neutral design, over 100 customization options, up to seven variant for particular skin and more. 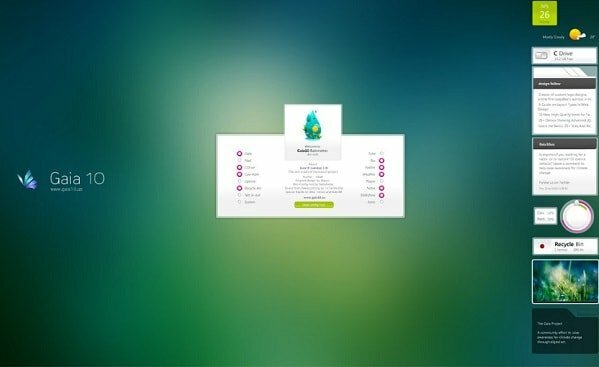 Lightweight and clean Rainmeter skin. It displays information that includes user profile button, time, a slideshow of favorite photos, shutdown/reboot/Logs off buttons, and media information accompanied by control buttons. 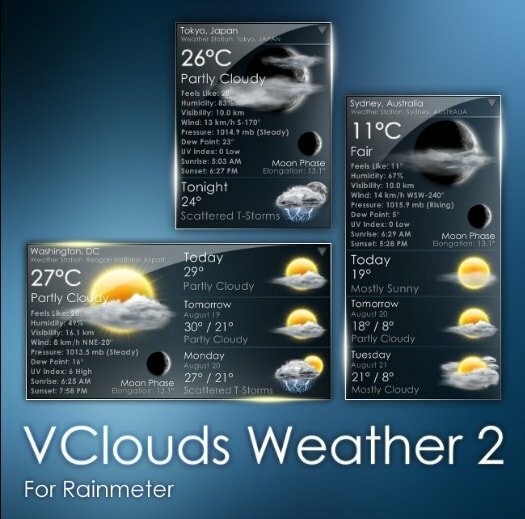 One of the beautifully designed and the best Rainmeter skins available and display lots of information like Media controls, System folder, RSS feeds, Drive shortcuts, Current weather, Time and Date. 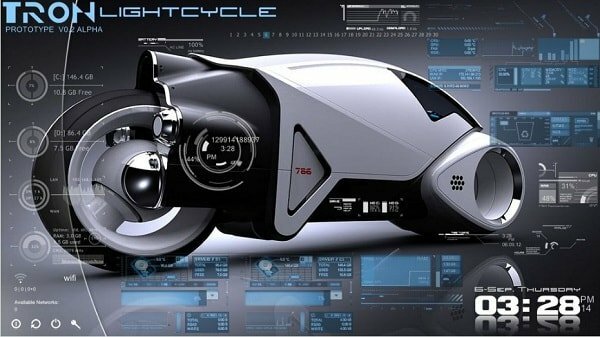 Want to get your own JARVIS powered PC? 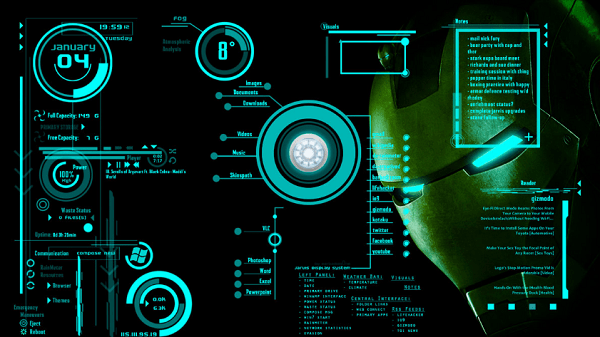 Give a try to Ironman Jarvis Rainmeter skin. 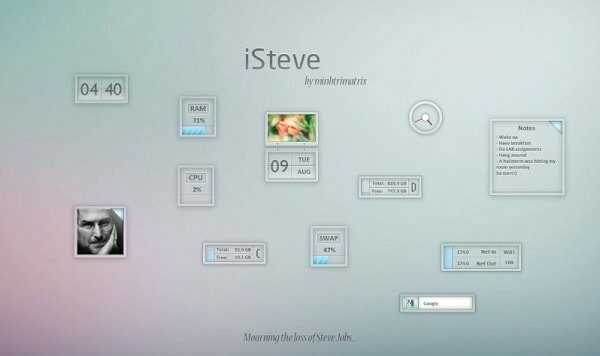 It is fully customizable and display information like Temperature details, Hard disk capacity, Clock and Date, RSS feeds, a shortcut to system folders, and much more. 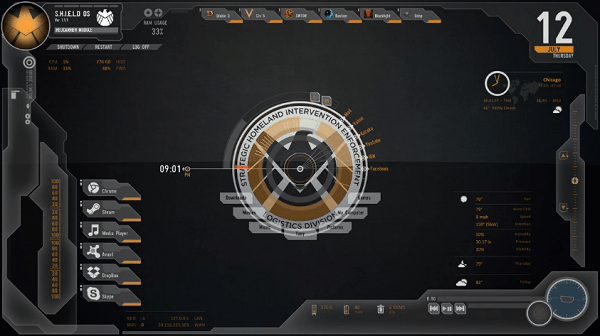 It is a revised SHIELD Avengers OS skin for Rainmeter. 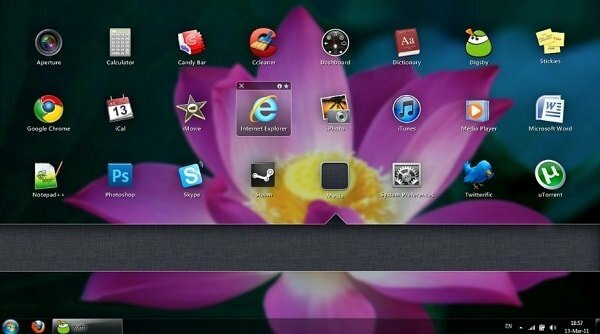 It is available in varied resolutions and consists of useful shortcuts to often access apps like Media player and Browsers. It also includes CPU and RAM usage display, Volume controls, Control Bar/Media playback, reboot and shutdown buttons, SHIELD Eagle tag and much more. Another beautiful and best Rainmeter skins for the fans. 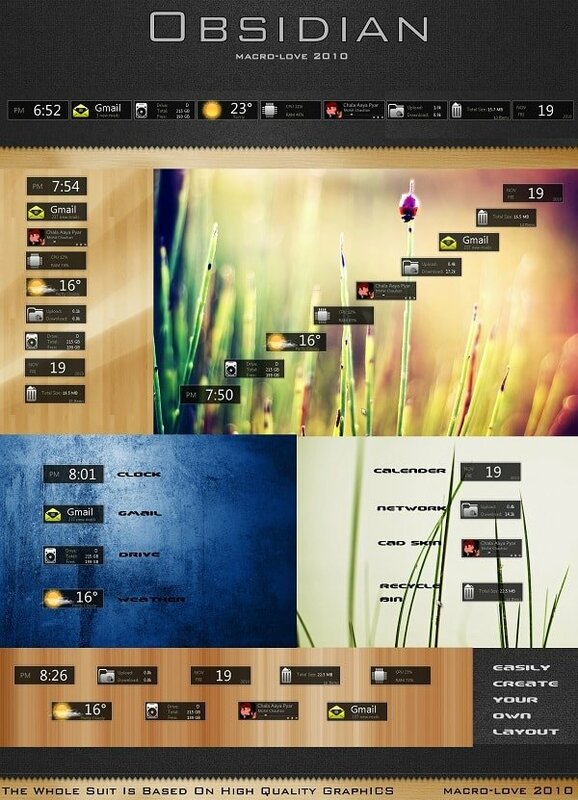 This skin display information like 0 to 6 drives and CPU’s, Upload and Download, RAM usage, Weather details, useful shortcuts, and related stuff. 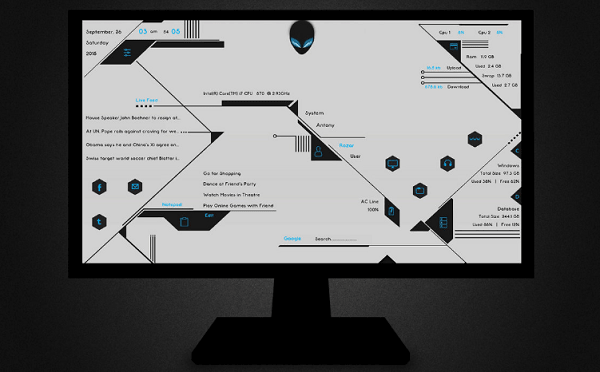 Aliens skin explain the importance of wallpaper in the desktop customization. The skin modules are easily configurable and consist of everything from Power status and Disk partition to network download and upload speed from date/time to weather and more. 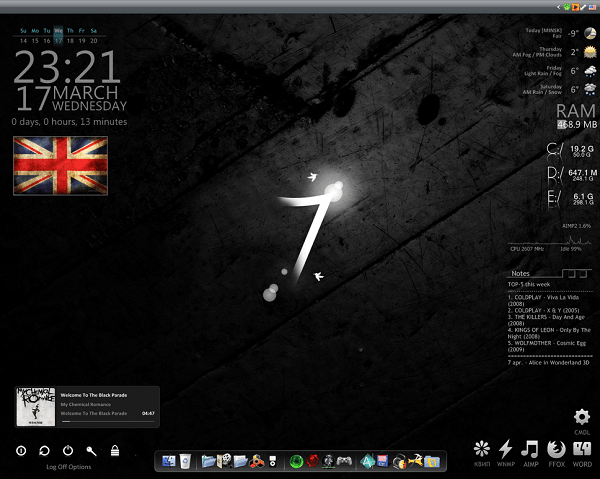 Razor skin for Rainmeter comes with frosted glass effect accompanied full of transparency. It displays information which includes weather, drive shortcuts, power status and more. 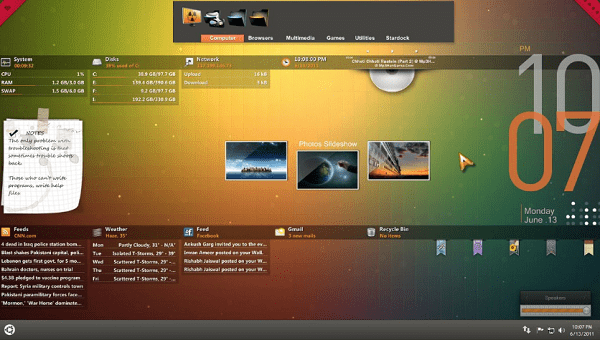 It also comes with a customizable dock accompanied by network status. 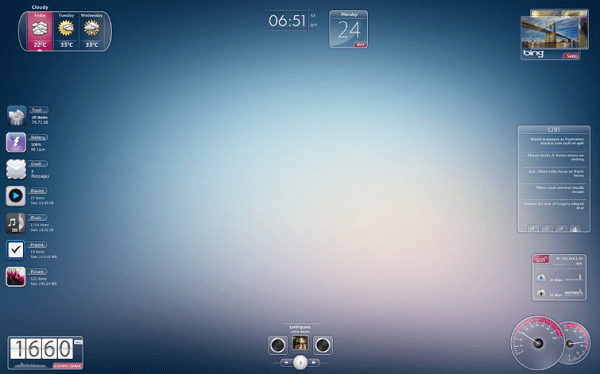 Another beautiful skin for the user who’s a great fan of transparency and frosted glass effects. The skin looks perfect if matched with minimal and muted wallpapers. You can rearrange skin modules to look perfect on desktop resolutions. It shows information like Network status, Date and Time, RAM and CPU usage, Unchecked email counts, Weather forecast, Temperature and more. This is dedicated to the fan of the popular game named as Mass Effect. The skin will provide you a feel that Command Shepard is going against the Reapers. The skin consists of various modules such as Media playback/Control Panel, Date and Time bar, Network statistics graph, Hard disk information panel and much more. If you’re a fan of trashy look and graffiti style, then Monochromatic Redux is your cup of coffee. 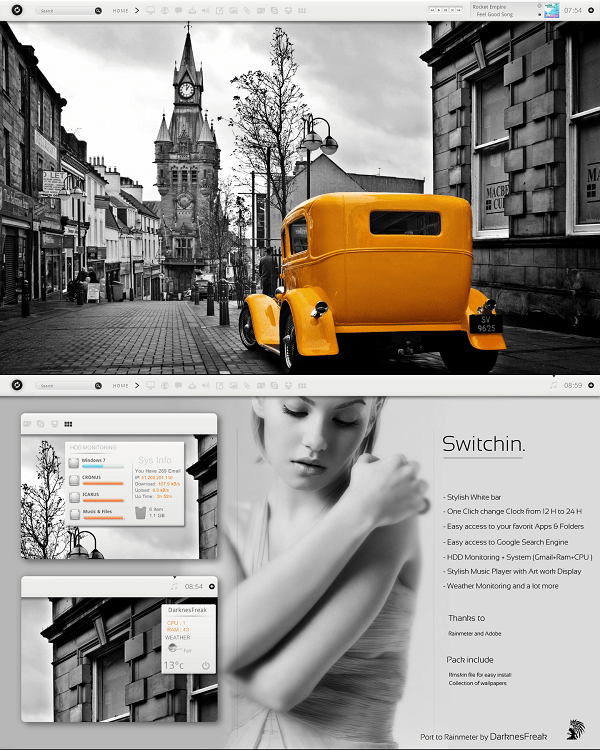 It uses a high-quality background that fits any desktop resolution perfectly. The skins come with various modules which include Weather bar, System bar, RSS Reader, Calendars, Notes, Dock, Slideshow, iTunes Controller with lyrics and 10 ft HUD. 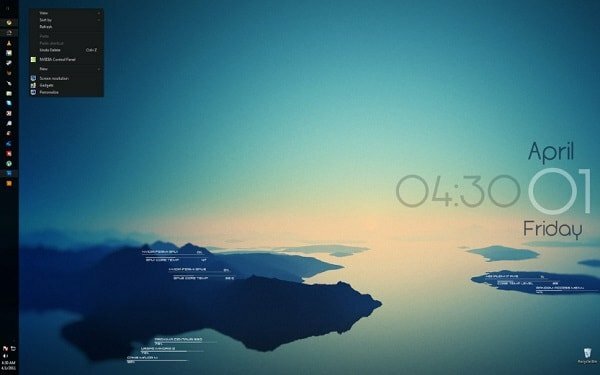 It is a fantastic Rainmeter skin featuring a beautiful landscape which makes your desktop looks gorgeous. To make this perfect skin developer has employed various apps which includes Windows Blinds, Cursor Fx, Icon Packager, Object Dock, Object Dock, CD Art Display, Calendar, Bar and more. Another top-notch Rainmeter skin was available on the DeviantArt. 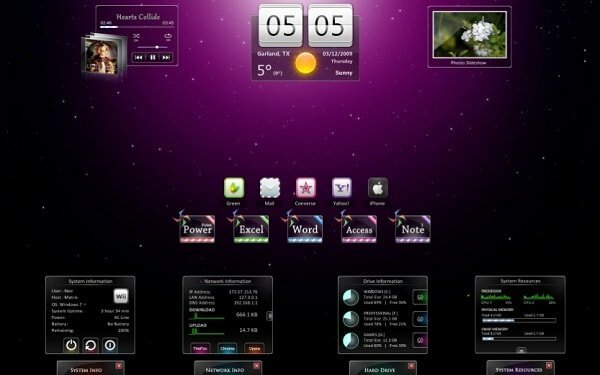 The skin includes various includes Clocks, Notes, Systems, Launchers, Weather reader, WinAmp reader/controller, RSS Reader, and Crest. 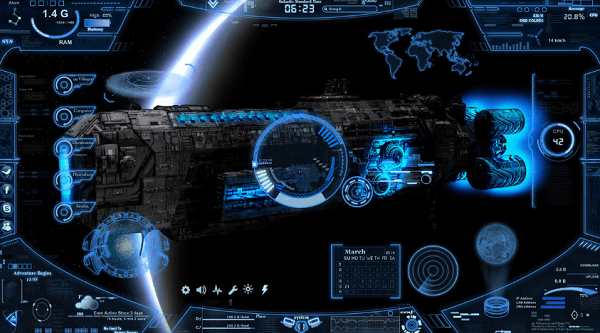 If you want to take the feel of 3D and Glassy effects, then try Neon Space Rainmeter skins. It comes with support for various languages and loads faster. It also comes with new audio visualizers, Spotify, and other popular audio players, let you change fonts, weather skins, and lot more. 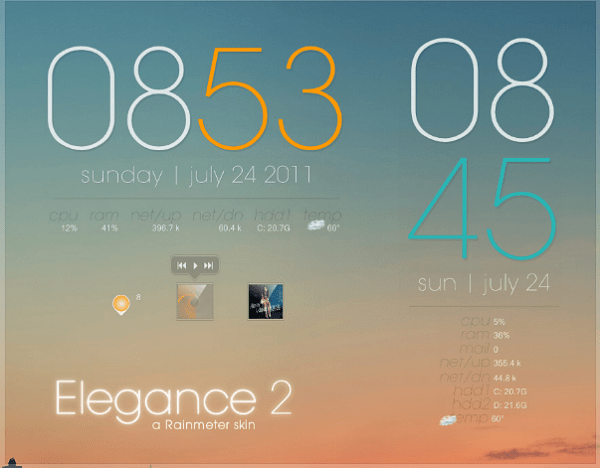 The polished and elaborated version of the highly used Elegance Rainmeter skin. It comes with popular modules which an ideal skin must have. It has now playing player, date, CPU & RAM, net download and upload, Gmail, Hard Drive, Weather icons, recycle bin and more. 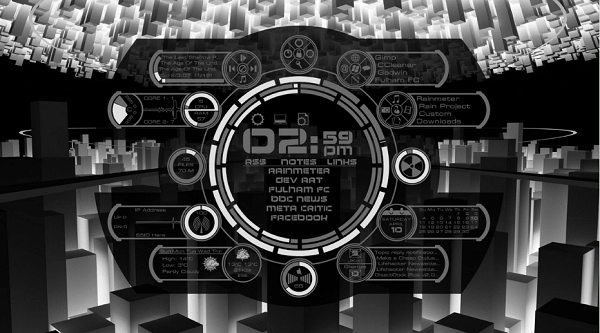 ABP Skin for Rainmeter is a suite that comes with white and black color featuring configure tool similar to Tabmeter 2. It is featuring refined white color skins, new search skin, volume control skin accompanied by all in one skin featuring Weather, System, ToDo RSS Reader, and apps in smallest space. SimplyNova is an old is gold Rainmeter skin. When it was first launched, it won the tag of Skin of the Month and gained around 500,000 downloads. It let you view the weather conditions, current date and time, RAM/ CPU/ Disk Usage accompanied by network bandwidth usage, IP Address in a real time. The skin is featuring various elements from Enigma and Token skins. It is featuring modules for date and time, Weather and Recycle bin accompanied by the meter. 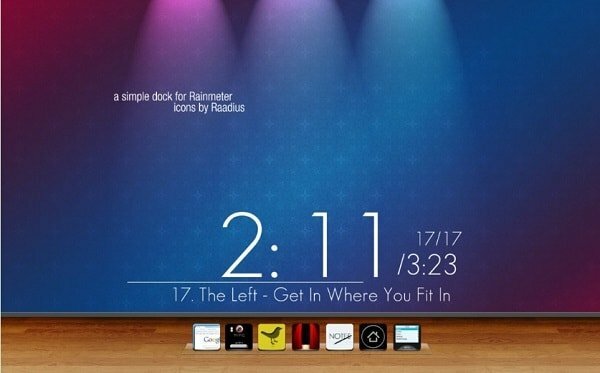 The limit is a fresh and straightforward rainmeter skin suite featuring easily scalable skins. The popular feature of this skin is “The text “fills” up as its value grows” that attract Rainmeter fans to download this feature. For Example, if hours pass, AM/PM text fills up automatically, the minute pass, the Hours automatically text fills up, the seconds pass, the Minute text automatically fills up. 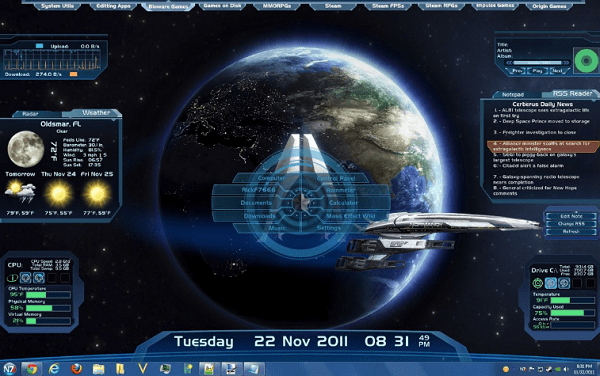 It is the impressive Rainmeter skin available on the internet. 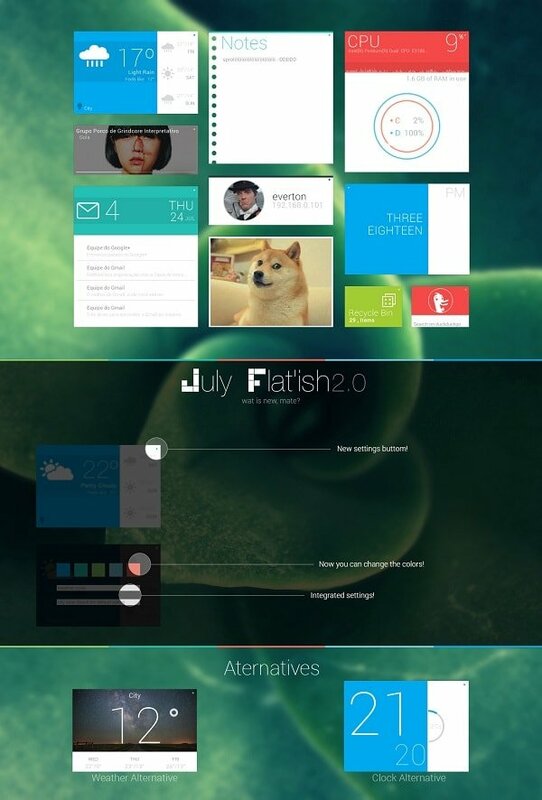 It is a skin based on Windows OS concept. 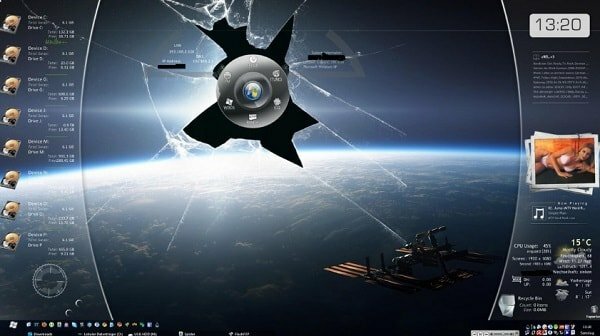 You can try this skins to make your desktop look awesome. 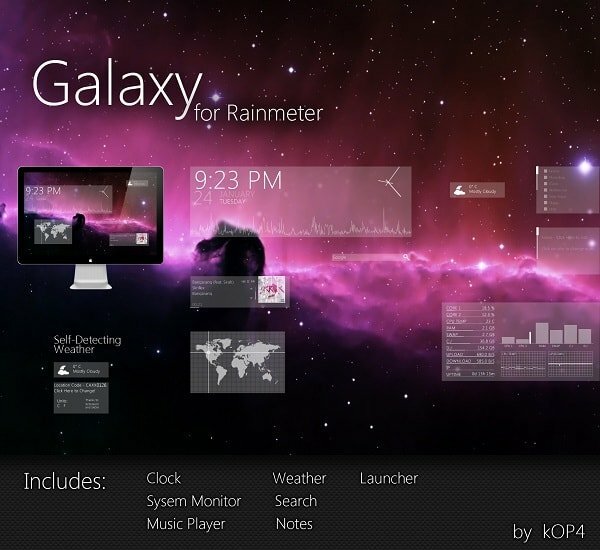 Pog Pack is easy to customize rainmeter skins that comes with 10 different variables using which you can customize the look of the skin. 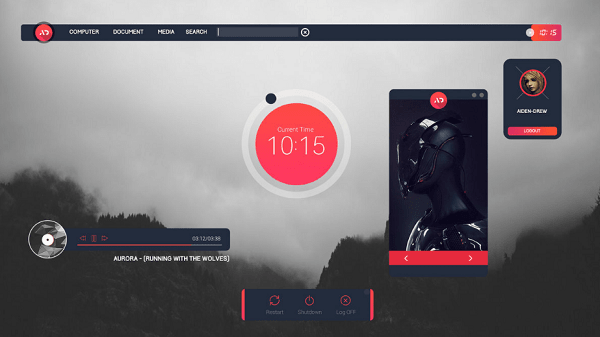 To get most of this skin it is required to install Enigma suite and must be running version 1.3 or above of the Rainmeter. 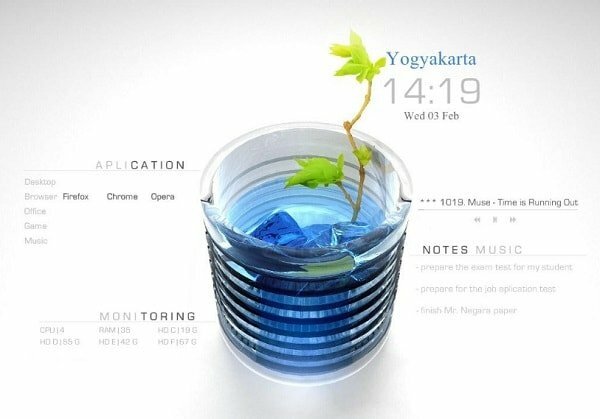 Blue Green Fresh is another innovative skin that contains application (browser, game, desktop, office), desktop monitoring (CPU, Hard Disk, and RAM Usage), music (Winamp and AIMP), notes to remember things, and much more. 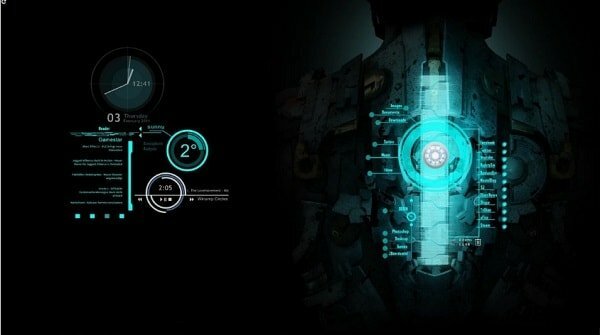 The Rainmeter skin is based on Obsidian. 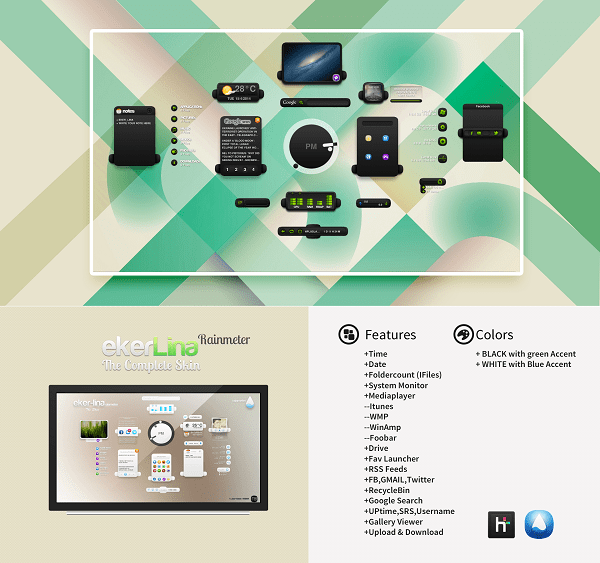 It is a complete set of small customization system monitoring widgets for your PC desktop. 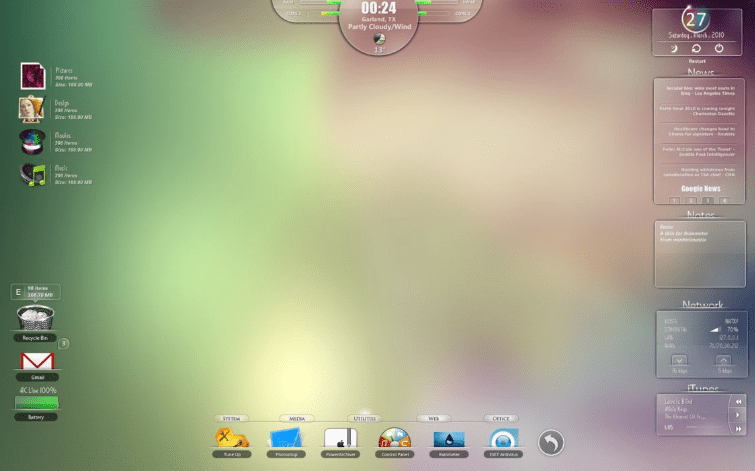 It Obsidian suite includes Clock, Calendar, Drive, Gmail, Network, Recycle Bin, Weather, System monitoring and CAD Skin. 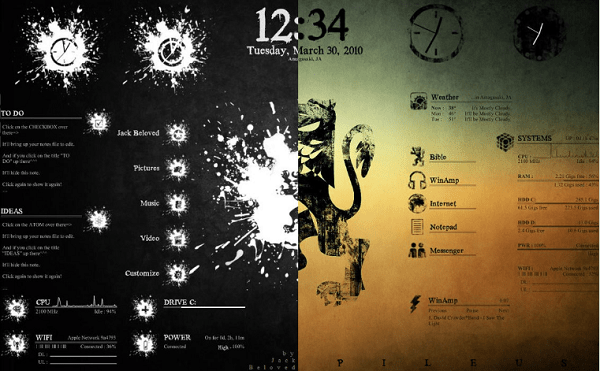 WISP is another excellent Rainmeter skin boast various features just like any other skins which include overall CPU usage and temperature monitor, GPU usage, and temperature, Swap and RAM usage, Network monitoring, accompanied by the module for Email, Recycle Bin, Weather, Date and more. 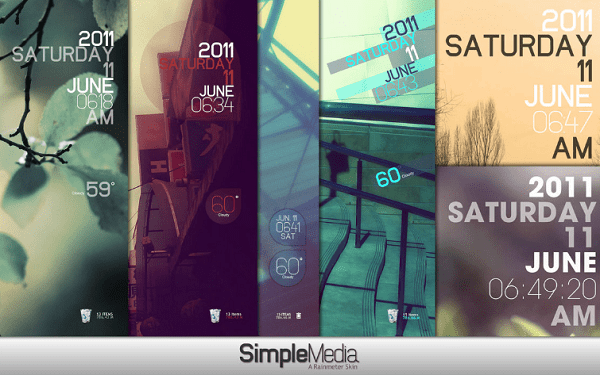 Galaxy Suite Rainmeter skins contain clock with time, date, and CPU meter that shows you the history of 10 minutes. It also has system monitor, music player, launcher, four-page notes, maps, weather which automatically detect the local weather, search and much more. 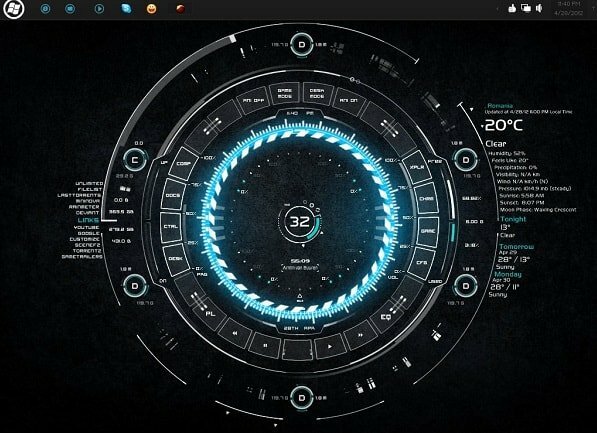 Horde is another beautiful Rainmeter skin featuring Circle System Resources, Power toy, and other modules from popular skin Enigma-like RSS Reader, Network Address, Taskbar, Calendar, Twitter Reader and more. This skin includes various popular applications like Icon Package, Window Blinds, CD Art Display which makes this skin look beautiful. 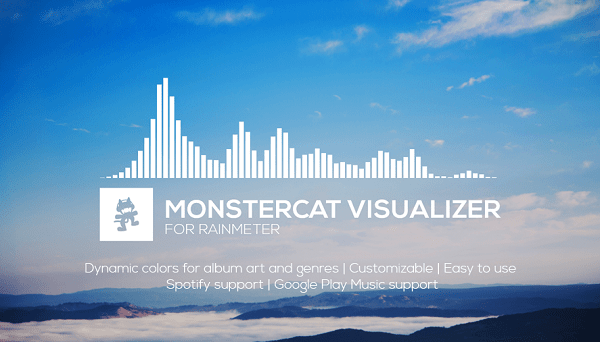 Monstercat Visualizer is a real-time audio visualizer skin for Rainmeter just like the one used in the Monstercate videos. It supports all the major media players like Spotify and Google Player desktop player and more. 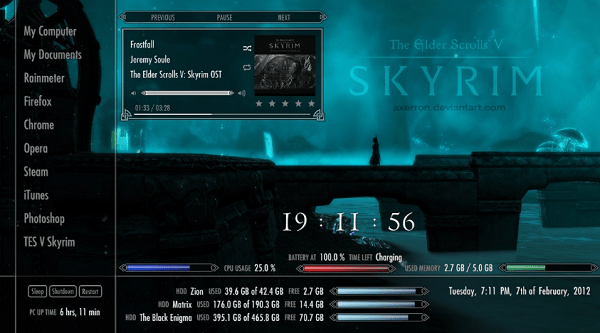 Skyrim Rainmeter Suite v2 based on popular Skyrim game. The skin includes around 12 different skins. It comes with various features like battery life bar, two clock skins, three CPU utilization bars, Horizontal bars, launchers, music player controllers, shutdown/sleep/restart button and more. 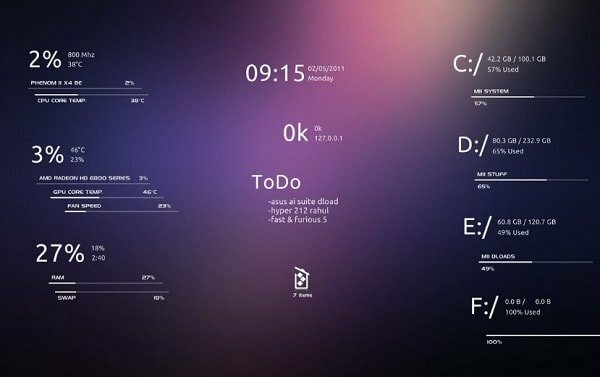 Rainify is another Rainmeter suite and aims to be both elegant and functional. 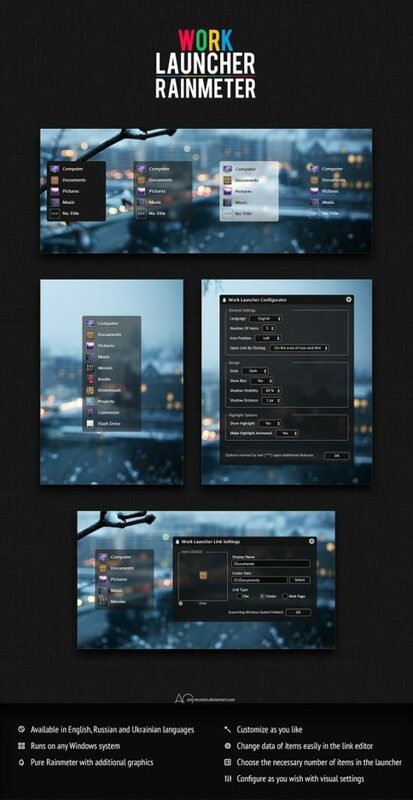 Everything in the skin is customizable you can customize color, opacity, and much more. 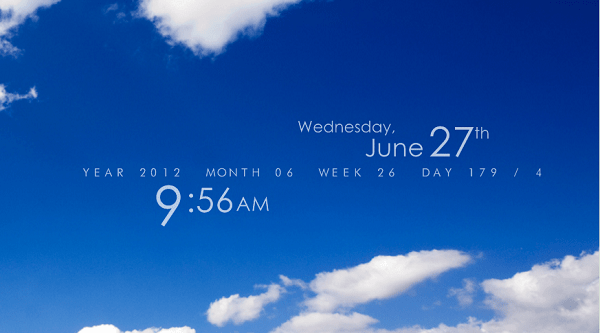 It has set of skins for Clock, Google Calendar, Battery, Facebook, Media Player, and much more. 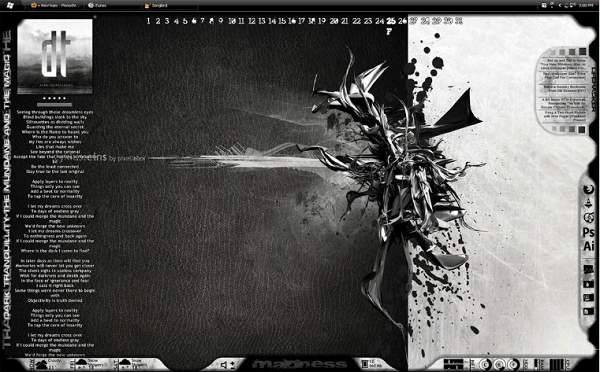 Note: Article is updated regular so keep visiting for fresh and new Rainmeter skins. 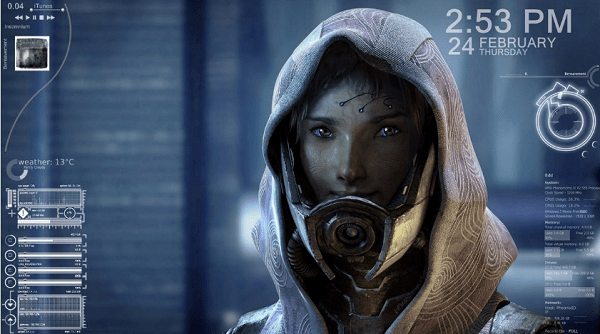 So these are some of the best Rainmeter skins for Windows 10. Why don’t you try them and let me know the name of your favorite Rainmeter skins in the comments? 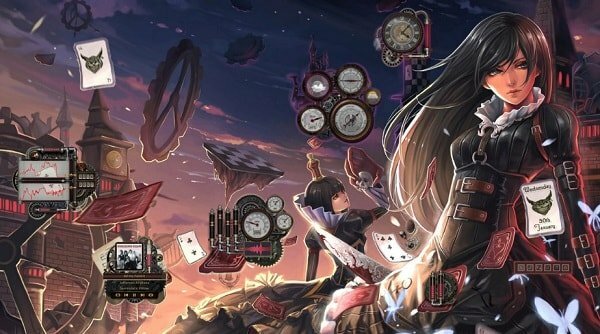 You can also suggest the latest and best Rainmeter skins which I forget to mention in this post.